Angelo has been a firearms instructor for over 14 years. 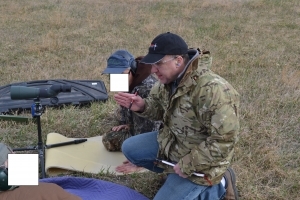 As a senior staff instructor for Defense Training International (DTI), he has trained thousands of military, police, and citizens in the art of defensive firearms. Angelo currently holds the world record for .50BMG “Hunter Class” 9 1/16” 5 shot group at 1000 yards. This record was set with stock Barrett M82. After 20-years as a master machinist, Angelo now spends his time off the range as a helicopter Flight Instructor.